I've finished all my March picks (a few days late, but got through them). 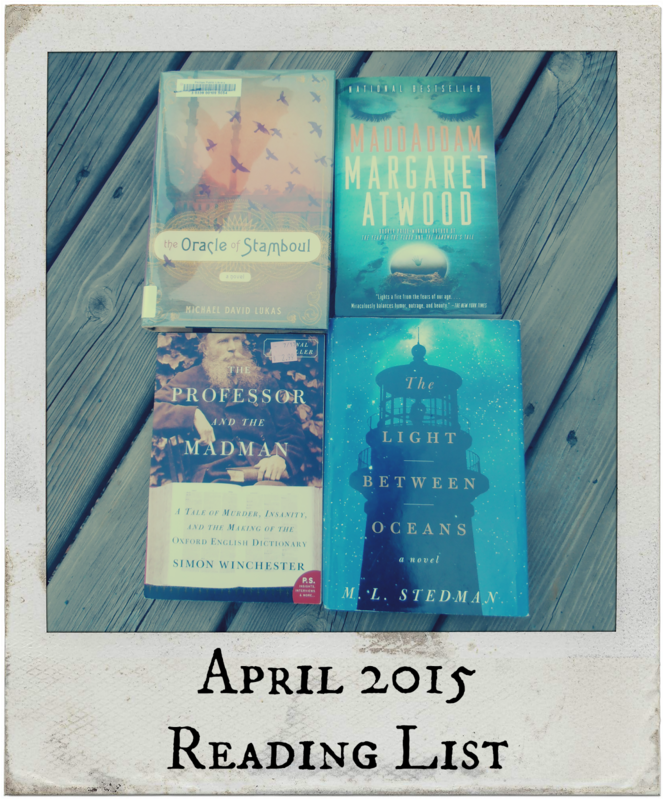 So here are book picks for April. 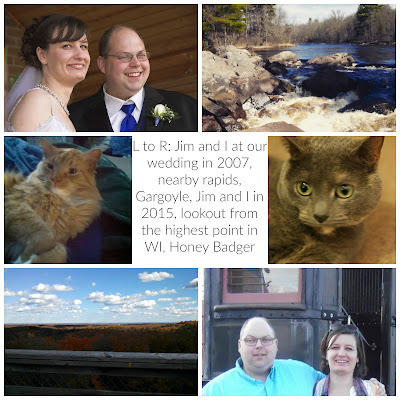 Last month was all about mysteries, this month is more a hodge podge. The Oracle of Stamboul by Michael David Lukas takes place in Turkey and Eastern Europe in the 1877 involving a young girl and her father. MaddAdam by Margaret Atwood is the third book in her MaddAdam Trilogy. I've read the other two and while they weren't my favorites of her books, they're still good. It takes place in a dystopian future world that makes the Hunger Games look like Disneyworld. But I want to know how it ends. A Light Between Oceans by M.L. Stedman takes place on a lighthouse, on an island after the end of World War 1 off the coast of western Australia, and involves the lighthouse keeper, and his wife, and a baby that mysteriously shows up one day. The Professor and the Madman by Simon Winchester is a nonfiction account of work on the Oxford Dictionary. Sounds dry. But, apparently one of the most prolific contributors was an ex civil war doctor who ended up in prison for murder and was insane. So, this month's selection travel throughout time and the world, and that appears to be the only common thread. What are you reading this month? I have read "A Light Between Oceans" and loved it!! It's one of those novels that I will pick up again!! But still today, after two years since reading it, I ask myself, "What would I have done in the same situation?" I'm about half ways through it and I already have this feeling that it's not going to end well. But it's so good!